Washington: Online appeals to help sick people by raising money for unfounded and sometimes dangerous treatments and purported cures bring in millions of dollars each year, researchers warned Tuesday. “This money is wasted at best and harmful at worst,” researchers wrote on the site healthaffairs.org. Four crowdfunding sites, including the most well-known, GoFundMe, collected the money. Researchers focused on homoeopathic or naturopathic cancer treatments, hyperbaric oxygen therapy (HBOT) for brain injury, stem cell therapies for brain and spinal cord injury and long-term antibiotic therapy for chronic Lyme Disease. The study was limited in scope by focusing only on these five treatments and four crowdfunding platforms. 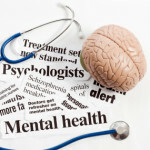 But the dangers posed by such approaches are real, according to co-author Ford Vox, a doctor at the Brain Injury Programme of the Shepherd Center in Atlanta, Georgia. Patients who pursue naturopathic or homoeopathic treatments for cancer are five times more likely to die than those who get chemotherapy and other standard treatments, according to a 2017 study in the Journal of the National Cancer Institute. Stem cell injections for brain and spinal cord injury are being studied, but such clinical trials are free-of-charge to the patients and constrained by strict laws. “It’s definitely a big red flag when people say that they’re raising money to go get some experimental stem cell treatment,” Vox told AFP. “They are really playing with fire,” he said of clinics that offer such experimental stem cell injections. Key risks include stroke, tumours, infections, meningitis and other painful conditions. And for those who pursue naturopathy or homoeopathy for cancer, he added: “You may well die.” But researchers found nine practitioners, identified by name, in eight countries where people intended to visit. 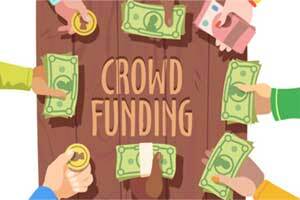 Vox said the problem starts when people “read something online and get really energized about that, outside of the counsel of their physician.” The boom of crowdfunding allows everyday people to “really raise funds that you couldn’t have otherwise,” he said.